Soprano Laser virtually painless and extremely safe method to permanently reduce unwanted hair. extremely safe method to permanently reduce unwanted hair. The pain free Laser which uses the world’s most comfortable and quickest laser, the Soprano Laser, can now free you from daily shaving, painful plucking and waxing to give you silky smooth and beautifully bare skin – on all skin types! The pain free Laser is the next generation of hair removal. Using the latest Soprano Laser, it’s an effective and permanent hair reduction solution that is simple and easy. Soprano Laser hair removal is a state-of-the-art procedure designed to remove unwanted hair faster and more comfortably than ever before. With Soprano Laser, you can receive treatment regardless of skin colour and can even treat sensitive areas without any discomfort. The secret to a virtually pain free treatment is the method by which the hair follicle is damaged. 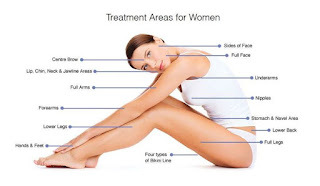 By using a sweeping, paintbrush technique with low doses of energy applied multiple times to the hair follicle, the Soprano Ice Hair Removal procedure is shorter than other laser methods, more comfortable and gives top results. Saprano Laser uses the most successful photoepilation wavelength (810 nm), which makes it the gold standard for laser hair removal. 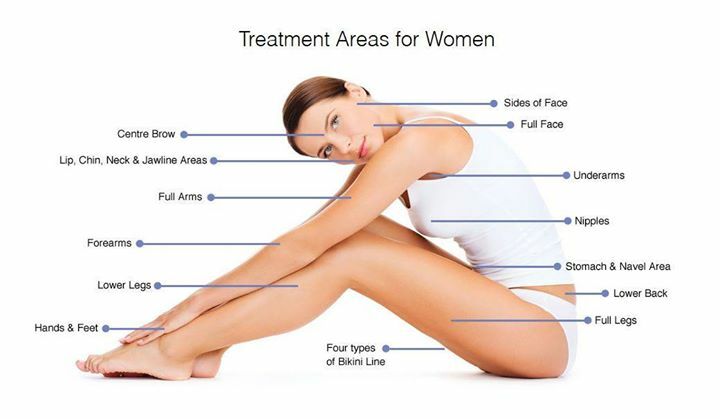 In addition, a patented Saprano Laser mechanism ensures the surface of your skin stays cool and even more comfortable throughout your treatment. 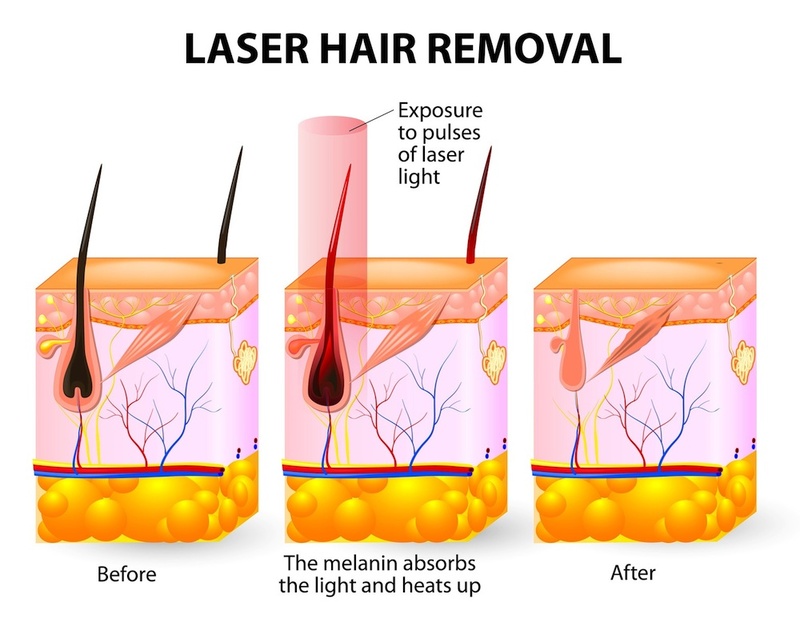 A laser is a high-energy beam of light that can transfer its energy through the skin to a specific part of the body. These beams of light can vary in terms of their strength and the type of tissue that they can target. 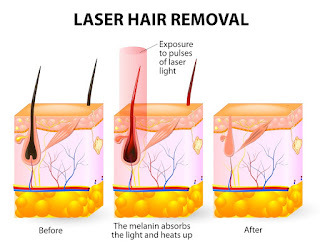 In the case of hair removal, pigment contained in the hair shaft can be targeted as can the hair follicle or root with a single specific wavelength (or colour) of light generated by the laser. This energy heats up the base of the hair follicle, which causes damage to the cells that produce hair growth. If enough damage is done, this will prevent the hair from growing any further (please see diagram below). The effect is most productive during what is known as the anagen or 'active' phase of hair growth, (other phases include times when the hair is simply resting and no longer growing, or is naturally shedding ready for a new one to form). The anagen phase is when new hairs start to grow. The amount of time that a hair follicle stays in the anagen phase is genetically predetermined and will vary slightly within the population (especially with ethnicity) and on different areas of the body. During this period of growth, the hair follicle has increased pigmentation and growth of new cells that makes it more open to damage from light treatment. Some level of pain should also be expected during treatments. Numbing creams are available at most clinics, sometimes for an additional cost. Some numbing creams are available over the counter. Use of strong numbing creams over large skin areas being treated at one time must be avoided, as this has seriously harmed, and even killed, patients. Typically, the cream should be applied about 30 minutes before the procedure. Icing the area after the treatment helps relieve the side effects faster. Unwanted side effects such as hypo- or hyper-pigmentation or, in extreme cases, burning of the skin call for an adjustment in laser selection or settings. Risks include the chance of burning the skin or discoloration of the skin, hypopigmentation(white spots), flare of acne, swelling around the hair follicle (considered a normal reaction), scab formation, purpura, andinfection. These risks can be reduced by treatment with an appropriate laser type used at appropriate settings for the individual's skin type and treatment area.